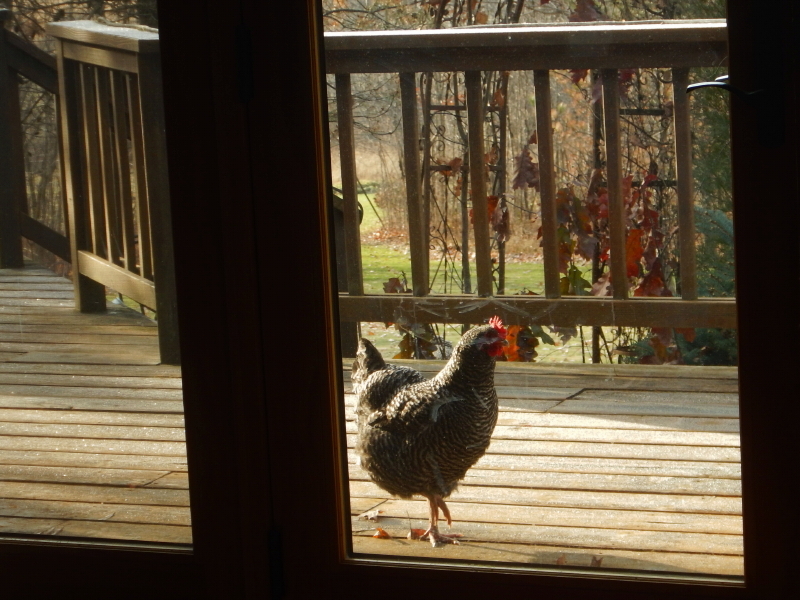 One of our Barred Plymouth Rock hens was checking out the scene on the deck this morning while Delilah napped nearby. Apparently the dog wasn’t in a deep enough sleep to miss the vibes of a creature entering her sensory field. Delilah spent a lot of yesterday barking at the sound of gunshots. It was the first day of the deer hunting season. Maybe this has her on a heightened sense of alert today. 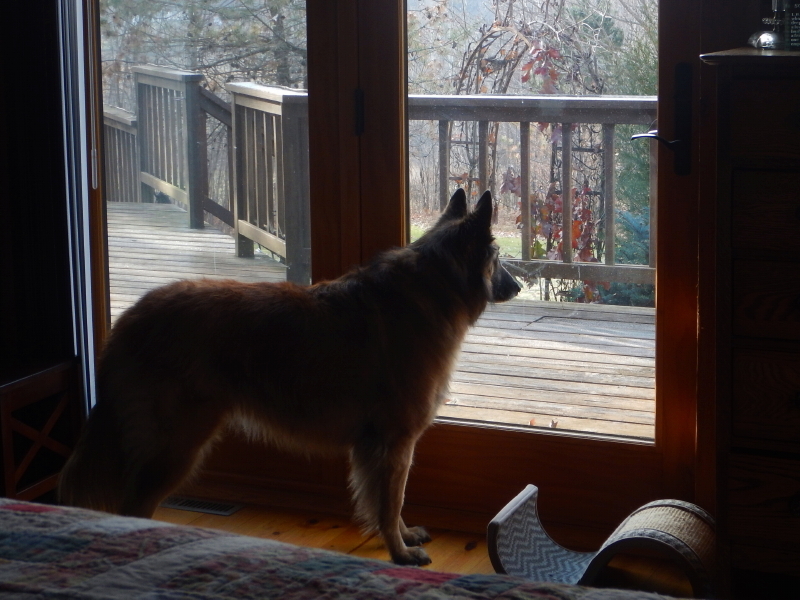 We are grateful there was a safe glass barrier between our animals for their encounter this morning. No feathers were ruffled, although the dog did suffer a brief abolishment from the bedroom for her unrestrained outburst against the glass.